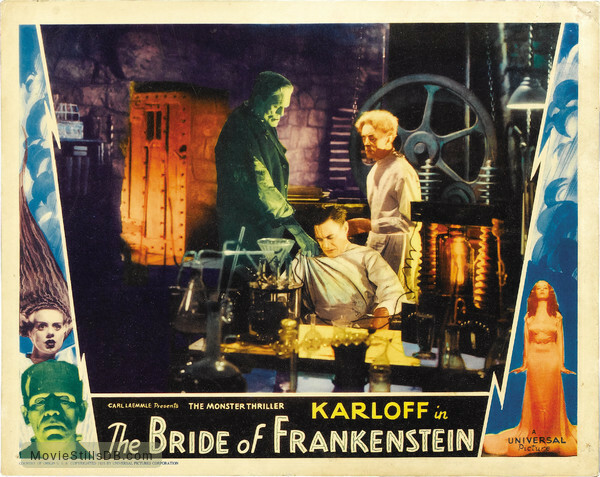 Lobby card with Boris Karloff, Colin Clive & Ernest Thesiger. Country of Origin U.S.A. Copyrighted 1935 by Universal Pictures Corporation. Intended for editorial use only.